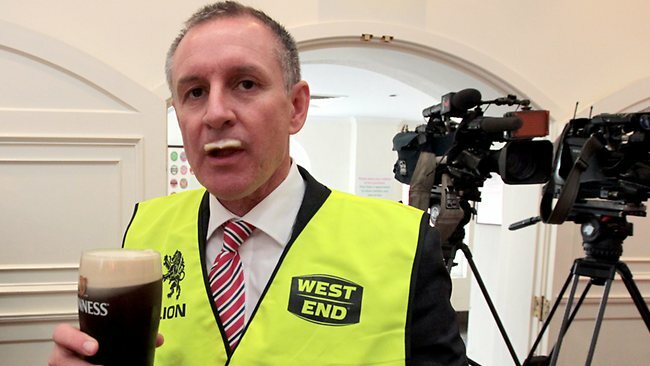 Jay Weatherill: forces SA taxpayers to pay $550m to fix his own disaster. South Australia’s wind powered energy calamity hit high farce in the week just gone. Its vapid Premier, Jay Weatherill proved the adage that when you’re in a hole it’s best to stop digging; except that he didn’t – and, instead, determined to dig into taxpayers’ empty pockets. Faced with a looming electoral disaster 12 months from now, SA’s hapless Labor government is desperate to keep the lights on, having bet the house on wind power. Announcing a plan that, at a minimum, will cost $550 million to set up (rather than run), Weatherill and his bully-boy sidekick, Tom Koutsantonis demonstrated that hubris and ignorance are not mutually exclusive virtues in South Australian politics. After repeated blackouts have hit the economic basket case since its last coal-fired power plant closed in May last year – with more of the same to come with the closure of Victoria’s Hazelwood plant – and as power costs for its battling businesses continue to rocket – in a last-ditch attempt to save his political skin, Weatherill has set South Australia’s taxpayers up to fund his chance at electoral redemption. In order to prevent any more ‘system blacks’ when wind power output collapses on a total and totally unpredictable basis, the ‘plan’ (for want of a better term) is to spend $360 million on a 250MW peaking-power plant, running highly inefficient Open Cycle Gas Turbines; with $150 million earmarked for a giant 100MW battery. Here’s The Australian’s Graham Lloyd talking about the effort by Californian carpetbagger, Elon Musk to milk SA’s wind power disaster for everything it’s worth. To the dismay of armchair electrical engineers, Premier Jay Weatherill yesterday confirmed the solution to South Australia’s blackout problems would overwhelmingly be gas. Showing the hide of a rhinoceros, Weatherill cast the blame for South Australia’s predicament far and wide. But the cost of the latest instalment in a decade of electricity adventurism will be paid by South Australian taxpayers and long-suffering electricity users. Sure, South Australia will deploy a big bank of batteries to smooth out the peaks in demand — equal to several minutes of total state requirements, but the heavy lifting will be done by a new taxpayer-owned peaking gas plant and a raft of state impositions. Electricity consumers will be forced to buy a set portion of state-generated gas-fired power rather than cheaper coal-fired power from Victoria. This is supposed to encourage private investment in more gas-fired power in the state. To get the gas, South Australia will give a share of taxpayers’ royalties to landholders where the gas is drilled. More state regulation will mandate that new gas stays in South Australia. This all adds up to an expensive fix and slippery slope to further nationalisation. With the heavy emphasis on peaking power, it still begs the question of what will happen when doldrum conditions again strand wind turbines for long periods over summer? Batteries may have their place, but this is not it. The incredulity shown by a new army of battery fetishists to the South Australian plan’s emphasis on gas shows how tough it will be to find a durable fix for energy policy nationally. SA taxpayer wonders how long his Premier’s $150m bet will last? For the record, there is no grid-scale battery storage system operating anywhere in the world; and when we say ‘grid-scale’ we mean capable of storing hundreds of MWhs, rather than the 20-100 MWh being touted by Tesla. 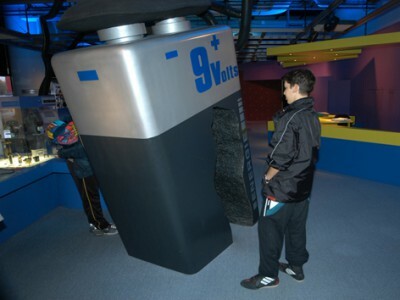 Also for the record, batteries do not generate power they simply store it; the power put into them has to come from some generation source at a cost, they take time to charge and discharge as fast as their operators permit. Moreover, as every mobile phone owner knows, batteries have a limited lifespan measured in ‘cycles’: the number of times that a battery can be charged and its energy discharged before it ceases to hold any meaningful charge. For a State that can’t make a decision on setting up a facility to store nuclear waste, it will be interesting to see how its bumbling Labor government handles hundreds of tons of toxic, heavy-metal filled batteries at the end of their economic life, assumed to be little more than 7 years. In the media that followed the announcement it was hard to pin down precisely what was on offer, but most reports suggested that the battery in question would have a capacity of 100 MWh. Assuming that be the case, then the battery would last all of four minutes if being used to satisfy the bottom end of South Australia’s daily demand of 1,500 MW. The maths is pretty simple. If the volume of power being delivered by generation sources over one hour is 1,500 MW, then a battery aiming to deliver 100 MW over that same hour represents 1/15 of the power being delivered by generators during that hour: 100/1,500 x 60 minutes = 4 minutes. Four minutes is barely enough time for South Australians to find their matches and secure their candles. Another reference point are those occasions when wind power output suddenly collapses, tripping the interconnectors with Victoria which supply SA with reliable, base-load coal-fired power from Victoria, resulting in the loss of around 500 MW in an instant (see our post here). A 100 MWh battery would last 12 minutes, if being used to plug that 500 MW gap: 100/500 x 60 minutes = 12 minutes. 12 minutes would be just enough time to fire up an OCGT from a hot start. Anyone claiming that battery storage is an economic means of providing electricity at any meaningful scale is deluding themselves, as South Australia’s political leaders most certainly are. There is a reason that there is no grid-scale battery storage operating anywhere in the world. At enormous cost, South Australians are about to learn precisely why that is the case. Here’s Judith Sloan weighing in on South Australia’s wind power fiasco. South Australia is effectively broke, but it can still manage to put together $550 million of taxpayer money to solve a problem that should never have occurred in the first place. It’s an iron-clad political law that when an electorally sensitive issue emerges, politicians will always throw money at seeking a solution. If the total power blackout of the state in September last year wasn’t embarrassing enough — and caused massive commercial damage to the few large industrial operations left in the state — the load-shedding that affected 90,00 households last month was the final straw. Mind you, the South Australian government should never have allowed the coal-fired Northern power station to close. Its owners proposed a value-for-money deal to the state government that would have offered energy security to the state for many years as well as provide continued employment in two regional centres. At that stage the hapless Energy Minister, Tom Koutsantonis, thought he knew better and could score a few political brownie points by turning the government’s back on coal. This was notwithstanding the astonishing hypocrisy associated with the state’s increased reliance on importing coal-fired power from Victoria. Now the state government wants to have it both ways — spend taxpayer money on building a gas-fired power station as well as subsidise some large-scale storage, the latter which cannot be assumed to work and is likely to cost about $200/MW. The gas-fired power station is unlikely to make money because it will simply be used for back-up and the minister may use emergency powers to force producers to come up with the gas. It doesn’t sound very free-market but that’s what desperate governments tend to do. The state government also intends to use its monopsony power as purchaser of electricity to induce an additional entrant to the generation market, but it’s not clear the size of the purchase is sufficient to achieve this result. The irony of all this expensive meddling is that there are very strong elements in this package of back to the future. In the past, each state ran its own, publicly owned electricity systems and there were legislated limits on the piping of gas across state borders. South Australia also intends to legislate an Energy Security Target that will force retailers to source locally, taking into account the emissions intensity of the source of power. How this can possibly work while there is a national Renewable Energy Target in place is anyone’s guess, but the aim of the exercise is to demonstrate that something is being done. Whether it works is a contingency that can be handled down the track. It seems unlikely that the $550m will be money well spent and the state may be expelled from the national market for violating the rules — but when the state Energy Minister can say with a straight face that “we can no longer be at the mercy of the markets because the market serves its own interests, not ours”, you know the time for rational debate is over. Yet South Australia is just a microcosm of the problems likely to emerge in all states, bar Western Australia. Without the distortions of the RET and other forms of subsidies to renewable energy, the National Electricity Market was delivering according to expectations. There was no evidence privatisation had adversely affected wholesale or retail electricity prices. The RET has undermined the security of the system to such an extent that further massively expensive interventions by governments will be needed to shore up reliability. The obvious thing to do is to freeze the RET, but the federal government is incapable of reaching any decision on energy and is simply floundering. Spot on Judith. Couldn’t have said it any better ourselves. Australia’s Renewable Energy Target is an economic suicide pact, with South Australia its first knowing and willing victim. Malcolm Turnbull is able to kill the LRET and end the insanity, but – as we posed in this post Born Lucky: Stars Align Perfectly for PM’s Son with Mammoth Bet on Wind Power Outfit Infigen – is he ready and willing to do so? In a phone conversation with a Canberra insider, I asked why the RET could not be directed to solar panels or hydro instead of wind farms, which are destroying the landscape, wildlife, and the health of rural communities across Australia. They simply stated to me. Crispin, the RET is all about WIND! The South Australian electricity fiasco has all the hallmarks a mad-hatter’s tea party. Weatherill and his fellow watermelons have pursued their policy of insane green energy zealotry and surprise, surprise now it has actually achieved one of its prime ideological objectives, that of forcing the state’s reliable coal based power out of business. The trouble of course for Weatherill is that the security and reliability of the South Australian grid has disappeared along with that reliable base load generation. Well, Jay and co are about discover that the piper has to be paid. I suspect all of their unbirthdays are about to arrive at once. A 100MWh battery cannot output 100MW, it will typically be capable of 25MW for 4 hours. On a hot day SA demand can be 3000MW and having 25MW available to prevent load shedding is a bit optimistic. We assumed everything in the batteries’ favour with our notional calculation. You refer to a 100MWh battery as if one exists. We are unable to find one operating anywhere in the world. Please direct us to one. The so called ‘plan’ to save SA is nothing more than pulling a cover over the hole, ready for someone to step on and fall into – and we the people of SA are the ones who will be falling into the even deeper hole dug by the Labor Government. Weatherill and Co are now forcing us, the tax and levy payers of SA to pay ($500 thousand) for a Labor Party Advertising program to ‘inform’ us of their ‘plan’. As if no one knows what they have proposed. When ever you see these two idiots they are hugging their security packet of nothing. We only hope that by the election in 12 months time people will have seen the packet begin to fray exposing the depth of deception this Government has gone to, to prevent blame for the years of abuse of this State by the Labor Party and it’s once best mates – the Greens. The Greens who are now having to come to terms with the fact their idiotology that the reliably unreliable Wind is not all we need to meet all our energy needs and their Labor mates now see Gas including Fracked gas as the saviour of this State!!!! Oh what interesting and troubled times are being produced and presented before us, as a result of Political alliances breaking up – as personal political futures are being put ahead of effective financial and social running of this State. A 100MWh of the type Musk is talking about is rated at 25MW and can deliver this for 4 hours. When it is hot and the aircos are on, SA demand is about 3000MW and spending over $100 million to have 25MW available for a few hours is not going to prevent a blackout. It’s socialism v2.0. The left has lost its working-class and is now concentrating on finding new missions. The new ideology/religion Climate Change was a perfect fit. They can now use it to control the masses and push its planned economy. Danny Price from Frontier Economics was on the airwaves after the announcement of Labor’s power plan for SA. He was obviously engaged by the Weatherill govt to help formulate it. As to what his full plan was and to what extent Jay and Koutsie accepted his ideas we will never know. I guess its best to not bite the hand that feeds you. The only talk of baseload generation was the “hope” of bringing in a new gas generator with a power purchase agreement for the govt’s own requirements. Weatherill and Koutsie have come up with a $560 million band aid. Apparently they could have kept Alinta’s Port Augusta coal fired plant running for a fraction of the cost at $27 million for another 5 years, now being denied by Weatherill. Talking to some within the gas industry however arrogant Koutsie is, he does have some smarts about him. 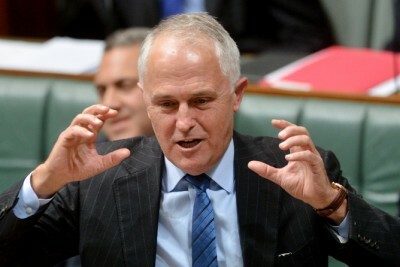 He certainly knows how to stich up Marshall and his hapless Liberal opposition. Unfortunately for SA their thoughts on Weatherill is that he is beyond any sense of sensible reasoning.